Omnivore Books in San Francisco on Saturday, September 8, 2018 from 3pm to 4pm! Presentation of and discussion about The Bordeaux Kitchen book with author and photographer Tania Teschke and her publisher Brad Kearns of Primal Blueprint, followed by a book signing, with wine sponsored by organic and biodynamic Bordeaux red Grand Cru Classé Chateau Guadet, and paté sponsored by US Wellness Meats. Please RSVP to Tania Teschke tania@taniateschke.com. Brick & Mortar Books in Seattle on Friday, September 14, 2018 at 7pm. Presentation of and discussion about The Bordeaux Kitchen book with author and photographer Tania Teschke and discussion with the ancestral health knowledgeable Dr. Tim Gerstmar, ND (Naturopath), followed by a book signing and paté sponsored by US Wellness Meats. Please RSVP to Tania Teschke at tania@taniateschke.com. 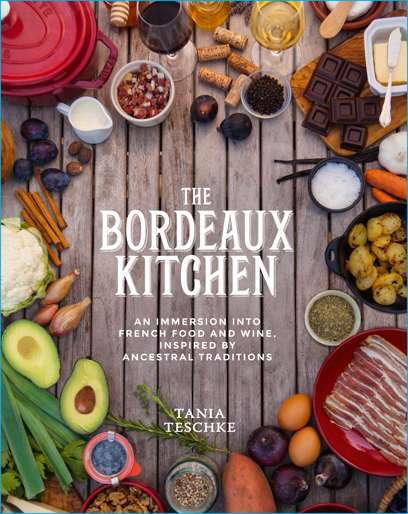 Third Place Books, Lake Forest Park in Seattle on Saturday September 15, 2018 at 6pm, Presentation of and discussion about The Bordeaux Kitchen book with author and photographer Tania Teschke, followed by book signing and paté sponsored by US Wellness Meats. Please RSVP to Tania Teschke at tania@taniateschke.com. I am a mother of two girls whom I strive to nurture in all ways by focusing on a primal-paleo lifestyle and preparing nutrient-dense foods. I have had and still struggle with health issues and I have found this way of eating and living to help my family and me tremendously. 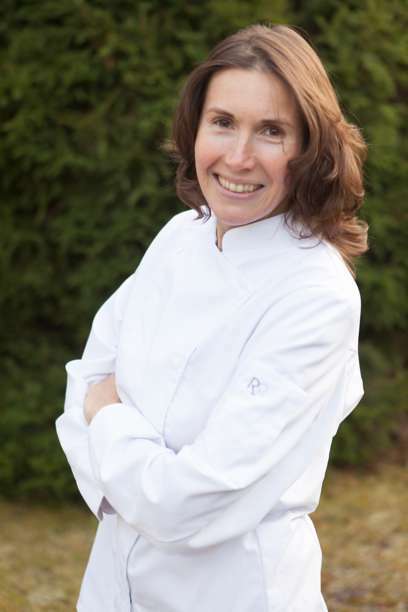 My most urgent creative endeavor is to learn and share what I have learned in the realms of French cuisine and healthful living with The Bordeaux Kitchen cookbook I have written. Q: How did you get involved in cooking? then I have been learning how the French eat and cook, incorporating their recipes, food and lifestyle habits into my own and my family’s. Q: What roadblocks have you faced thus far? Transitioning to this lifestyle is not easy, as we did not start out this way, and I am learning as I go. Replacing old favorite refined, nutrient-poor foods with unpackaged, nutrient-rich foods was very challenging and time-consuming, even in France, where refined foods are unfortunately available at every turn. There is resistance from relatives and friends who are unaware of the science involved in modern refined foods versus unrefined, fresh foods, including meats and fats from grass-fed animal sources. I would like my daughters to be able to develop into knowledgeable, critical thinkers, with a nutrient-dense diet as their foundation. Daily family meals together are critical to supporting their education, even if getting help from them in the kitchen is sometimes more of a negotiation! Q: How did you learn about grass-fed meats? Thanks to numerous health and Paleo-related podcasts from the US that I have listened to over the past 3 years, I have educated myself from afar. In fact, thanks to Sean Croxton’s Underground Wellness podcast, US Wellness Meats was the first company I heard about in 2013 that offered grass-fed products! 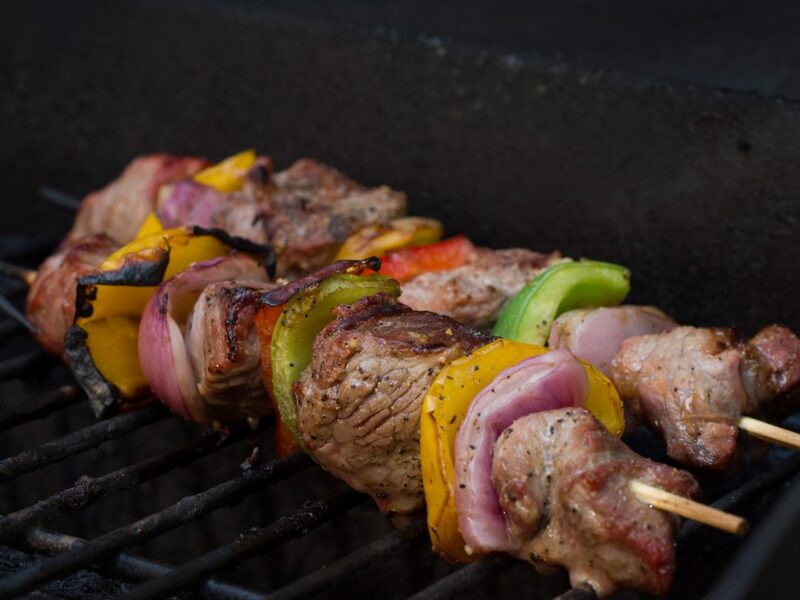 Q: What is your favorite recipe featuring grass-fed meat? Grass-fed beef liver is at the top of my list. By all accounts, it is the most nutrient-dense food. My favorite way to prepare it is with coconut oil and sea salt in a pan. Or Braised, grass-fed beef cheeks! These are slow-cooked in a traditional French cast iron pot. They are flavorful, nutrient-dense and easy to prepare! Q: What advice would you give to someone transitioning to grass-fed meats and an organic foods lifestyle? One step at a time. Replacing one packaged food with a whole food at a time eases the feeling of deprivation. Also, ensure that each meal (and snack) has adequate sources of grass-fed fats, which will help with satiety in addition to providing all the valuable nutrients these fats offer us. Q: You’re stranded on a desert island; luckily you’re stranded with your top 5 ingredients and must-have kitchen tool. What are they? My butcher’s knife, my knife sharpener, my large cast iron pot, Herbes de Provence, and grass-fed duck fat! Q: What is one of the best cooking tips you have learned in France? How to braise (slow cook) tough meats: You brown a large piece of beef or pork in a cast iron pot using tallow, lard or duck fat then fill the pan one-third to two-thirds full of water (or fat!) and slow cook. Q: What is your favorite quote or song for culinary inspiration? “We are what we eat … Therefore, if we do not know what we eat, there is a great risk of not knowing what we are.” Claude Fischler, Sociologist, France, 1998. Q: Is there anything else you want to share? I am grateful to US Wellness Meats for the opportunity to share some of what I have learned with your readers, of whom I am one as well! What a fantastic resource for grass-fed products, recipes and community, thank you!